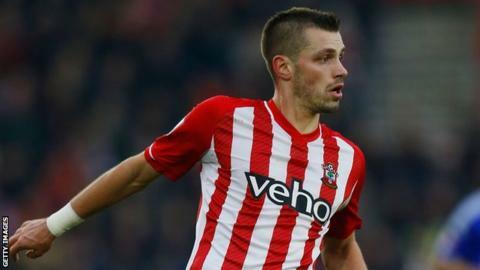 Southampton have been boosted by the news that Morgan Schneiderlin may play some part in the rest of the season. Schneiderlin, 25, was hurt in the draw with Tottenham and was initially ruled out for the remainder of the campaign. However, manager Ronald Koeman says his knee injury is not as bad as first feared and the midfielder could return. "His prognosis is more positive and maybe he will play one or a maximum of two games," Koeman told BBC Radio Solent. "If everything goes well, he can be ready for Manchester City (on the final day of the season). If there is a surprise he will play at home against Aston Villa." The Frenchman has been a key member of the Saints side this season, playing 30 times and scoring five goals as they battle to secure European football. Southampton are seventh in the Premier League and need a top-six finish to secure European football next season, with Tottenham a point ahead of them. Map out the road to Premier League and cup glory by predicting the scores for all the remaining ties in the Premier League and the FA Cup final and see how your guesses fare against BBC pundit Mark Lawrenson.